millenniumfalcon.com • View topic - Rogue One Vader compared to ANH Vader. 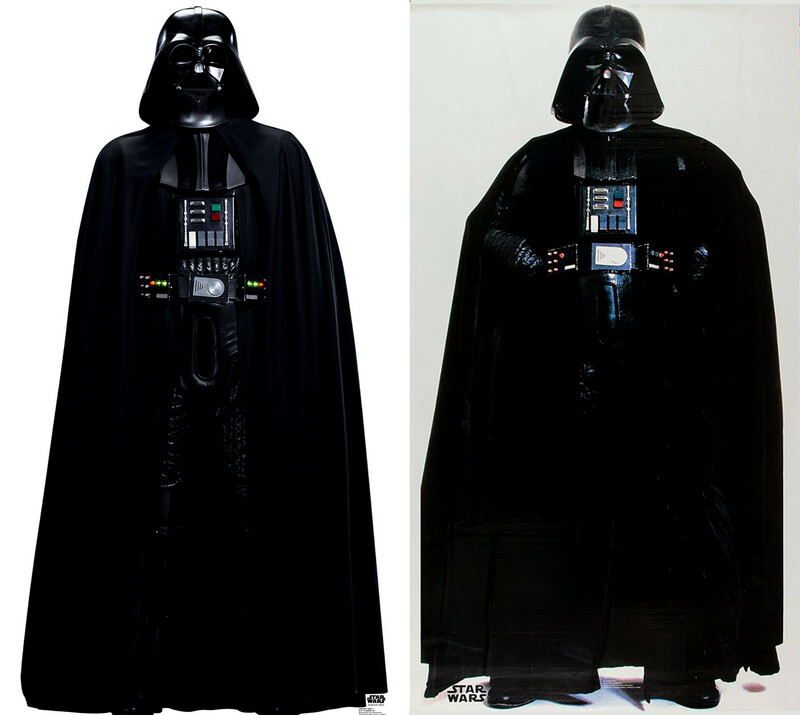 Rogue One Vader compared to ANH Vader. What I am hearing (His all new Rogue One Hasbro figure has the inner tunic running over the armor) is that Vader starts with the inner tunic under the chest/shoulder armor, but by the end he is wearing the inner tunic over the armor exactly like ANH. It's nice to see that the filmmakers used teh correct suit. The tunic change is puzzling. Also, I wish that the mask was narrower and the lenses were red (or redder). What I am hearing, as I said above, is he that goes thru part or most of the movie with the inner tunic under the chest armor and by the end of the movie the tunic is over the armor like ANH. The eyes look more amber in other pics or other art depictions, depends on the lighting, even in some of the old ANH photos of the costume the lenses look darker. Hasbro is releasing a Rogue One action figure that is a new sculpt (Not a re-issue according to the Hasbro figure experts) it has the tunic over the armor like ANH. Brian Muir worked on this helmet. I'm not seeing the narrower need. Hasbro's record for on-screen accuracy is recently spotty. So, I don't put much faith into the action figure. Made me think more of ROTJ Vader to be honest. That said, I don't put any stock in promotional material as it relates to what the onscreen version will look like. What throws me off is that it's clearly not David Prowse, who would always rest his fingers on his belt. The lenses have an amber tint, though not noticable in the above pic, even the ANH one above you can't see the amber well in it either for the comparison. The chin triangle vent is smaller as it was in ANH as well, just to name a couple things. Especially the chest box and belt are spot on ANH. Brian Muir http://www.brianmuirvadersculptor.com/ of the ANH helmet was brought in to work on this. As for the figure not being accurate. Why would they just all of a sudden do a sculpt of the tunic over the chestplate armor figure for Rogue One? It's a new sculpt, not a rehash from the Hasbro experts I've talked to. Oh and Prowse isn't in a lot the suited promo shots from the ANH era. People think he was in all of them, many he was not. I am not even sure that's him in the above one on right but I need to research more. I agree that the promo pic screams "not-Prowse." Concerning the action figure, Hasbro may have created the sculpture for a ANH release, and simply redirected it to the Rogue One line-up. (After all, it's ANH's 40th next year.) In general, they're cheap bastards when it comes to the 3.78" figures. /starwarslifesized has a decent image compassion. As of today, my take is that I am appreciative of Rogue One's attempt at a ANH suit, but not satisfied with the end result. Such is life. 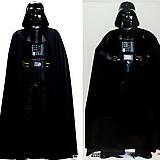 The people at makingstarwars.net saw some photos by last April when they specifically said on their site in April it was the inner cloak running over the armor and such. I'll just say what Pablo Hidalgo has said on twitter several different times to several people who complained about the inner cloak not running over the armor in the past days. "Wait until you see it in the movie." And Prowse did not always put his hands on his belt. But it's rare to see any image of Vader posed for a promo shot with his arms down at his sides no matter whom is in the costume.